LEGO Harry Potter: Years 5-7 was released in the U.S. on November 11, 2011 with a MSRP of $49.99. The game was a multi-console release, finding its way on the other home consoles as well as portable systems. It was developed by Travellers Tales, and published by Warner Bros. Interactive Entertainment. The game received an ESRB rating of "Everyone 10+" with "Cartoon Violence, Comic Mischief" listed as content for parents and gamers to be aware of. 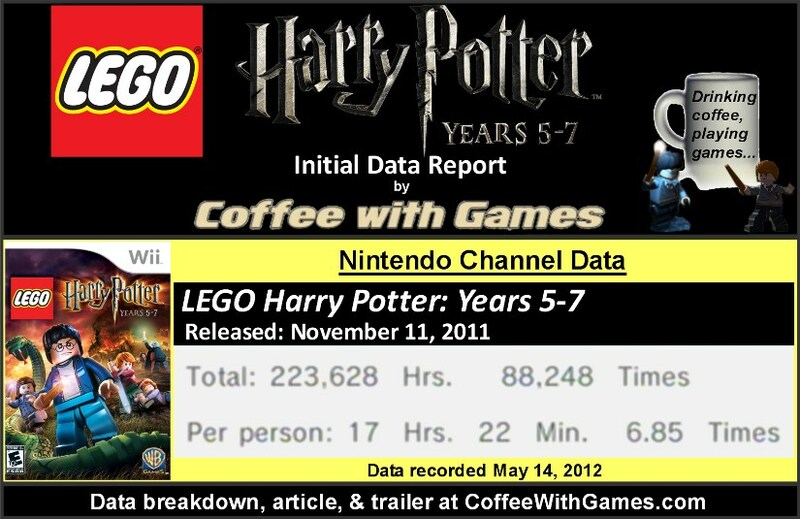 Just how many hours have Wii owners reported flying around Hogwarts in the last 6 months since the game released? Let's take a look! LEGO Harry Potter: Years 5-7 has approximately 12,882 Wii owners that have reported data through the Nintendo Channel, and the average play-time per day/session reported is 2 Hours 32 Minutes. 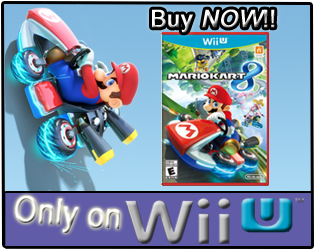 The game's "professional" review score average on the Wii is 78.79%, based on 12 reviews from GameRankings.com, and its Amazon.com customer review score average is 72.20% based on 77 customer reviews. Confession time! I have never read a Harry Potter book, and I have never watched any of the Harry Potter movies (now awaits stampede of Harry Potter fans). I'm usually one to avoid "hyped" books and movies, because I can be overly critical and nitpick things and make them not enjoyable, and that was the case with the Harry Potter series for me. I have been interested a few times to either give the book series a try, or just rent the first movie and see if I would enjoy it, but that hasn't happened yet...DIGRESSION! Like most of the "LEGO" games, LHP:Y5-7 is doing quit well with the reported game-play data, and will probably continue to do well in sales, especially considering LEGO Harry Potter: Years 5-7's recent price drop on Amazon.com and GameStop.com to just $19.99. Are any of you big Harry Potter fans, perhaps of the books, movies, AND video games? If you are perhaps just a fan of the "LEGO" games in general, do the Harry Potter games keep up the game-play elements from the series well? I'm a pretty big fan of the books, I have all of them sitting in my bookcase. I also have all the movies, and they are definitely good, but they left out too many details from the books, it takes some of the magic away. You should try the books! I haven't played a Lego Harry Potter game, but I have Lego Star Wars the Complete Saga. I imagine it's pretty similar since the Lego formula never seems to change! Running around collecting Lego pieces and finding hidden bricks never seems to get old. "I also have all the movies, and they are definitely good, but they left out too many details from the books, it takes some of the magic away." Interesting you mentioned this. I was talking with a friend last week about the Harry Potter movies and how I had never watched them. He said he has the audio books for all of them, and absolutely loves them, but thinks the movies left out too much, and said he nitpicked the movies because of them leaving stuff out of the books that he thought should have been there. I finished the Hunger Games series about 2 months ago, and enjoyed that series a good deal. Perhaps another fictional series would do me well now...may have to pay the library a visit. As for the Lego Star Wars The Complete Saga, that was one of my Christmas gifts this past year. The game is still sealed up, not even opened yet. I purposely had it on my list, thinking Mrs. Coffee and I, or perhaps our oldest son would maybe start playing it together...hasn't happened, YET. Thanks for the comment/feedback on the series in general! Hey Mr. Coffee, I worded my comment wrong about the movies, sorry! I completely agree with your friend, what I meant to say is that details that were present in the books were absent in the movie. I think it's my turn for a confession: I haven't read the Hunger Games books or seen the movie. I've been looking for a new series to read, and I might have to check this one out since you said it was enjoyable! My family falls into all sorts of places on this. Now for starters - we haven't played this particular title. We did have years 1-4 for the 360, and my youngest absolutely loved it. It's one of maybe four games she has actually beaten. She likes the other Lego games too, and we have acquired several of them (star wars, batman, indiana jones) but Harry Potter 1-4 was definitely her favorite. I have seen all but the last movie. My son is the same. Neither of us has read the books, but he has fiddled with years 1-4 some. My oldest and wife have read all of the books - some of them twice, and seen every movie at least once. Neither has touched the games. No worries! I followed your first comment just fine. As for the Hunger Games series, Mrs. Coffee had read it, and she said that I might enjoy it. I finished the series within a month of starting it, and each book took less than a week to finish once I started...which for me is great, because I usually SLOWLY trudge through books. It's kind of interesting, that while the movie was produced well (slightly cheap effects though, at least that was my feeling), we have wondered how well the people that watched the movie but didn't read the books...actually understood it. I would definitely suggest the books first, then the movie...but I do know some people that saw the movie without reading the first book and they enjoyed the movie as it was. Haha, interesting mix around the family. Your youngest that completed the game, did she read the book, or just your oldest and your wife? Sounds like you have quite the LEGO games collection, and I gotta say...the LEGO games with the formula they seem to follow from the first Star Wars game, is just great. Also, their prices usually drop to around $20 rather quickly, and that makes them super buys for gifts I think. Invariably, the books are better than the movies. While the movies capture the feel of the stories, like Rob said, the books have much more information in them. Understandibly because the books get longer as they go on. Kinda hard to squeeze 600+ pages into a two hour movie. They needed to split the last one into two movie IMO. I played a demo for this title and liked it. Planning on picking it up after my wife and I are done with Lego Pirates of the Carribean. :) Own most of the rest of the Lego games. 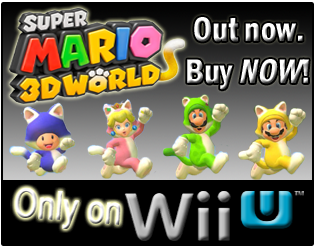 They're good, clean fun games to just pick up and play, so I'm expecting good things from this one. "Planning on picking it up after my wife and I are done with Lego Pirates of the Carribean." I watched the original Pirates movie the other night. We're pretty big fans of the Pirate movies in our house. Are you enjoying the Lego Pirates game, and does that game go through more than just one movie? My youngest never read any of the books. She's only watched like half of the movies too. As for the collection - you hit it right on the head. New they drop in price pretty quickly, which means used they're even cheaper. I think I got them all some time after their release, and all for $20 or less. Yeah, the game is kind of off to the side right now. Haven't been playing it religiously, but it is quite entertaining. I feel that it's a little more chaotic than the other Lego titles, but if you are a fan of the movies then you should enjoy the game. I really like the movies so I can tell what's going on in the story scenes pretty well. And, yes, it goes through all of the movies, including "On Stranger Tides". Right now, my wife and I are currently on "At Worlds End". What did you think of the last movie? I thought it was alright. The first will always be my favorite though. You can see Mexico's reported data by switching countries under your menu option. I believe Brazil and a few other South American countries are listed as well. I asked in the newer Rayman Origins post, but is the data you're reporting for ALL of Canada, or just the province you live in? When I last checked (last year), I thought Canada's reported times was split up in the provinces, and not for all of Canada. Just trying to make sure we are comparing Apples to Apples, and not Apples to Coffee Beans. I actually enjoyed the last movie, and thought it was a good "return" to more of the pirate settings of the first. It didn't seem as "over the top" as the 2nd and 3rd. Now, I do think the 3rd has the best serious intro setting for the Pirates movies, with the sentencing of the people/pirates, and a lot of crazy similarities with today and the real world. The first one though really did establish the series, and I still think it has the most hilarious intro of the series.